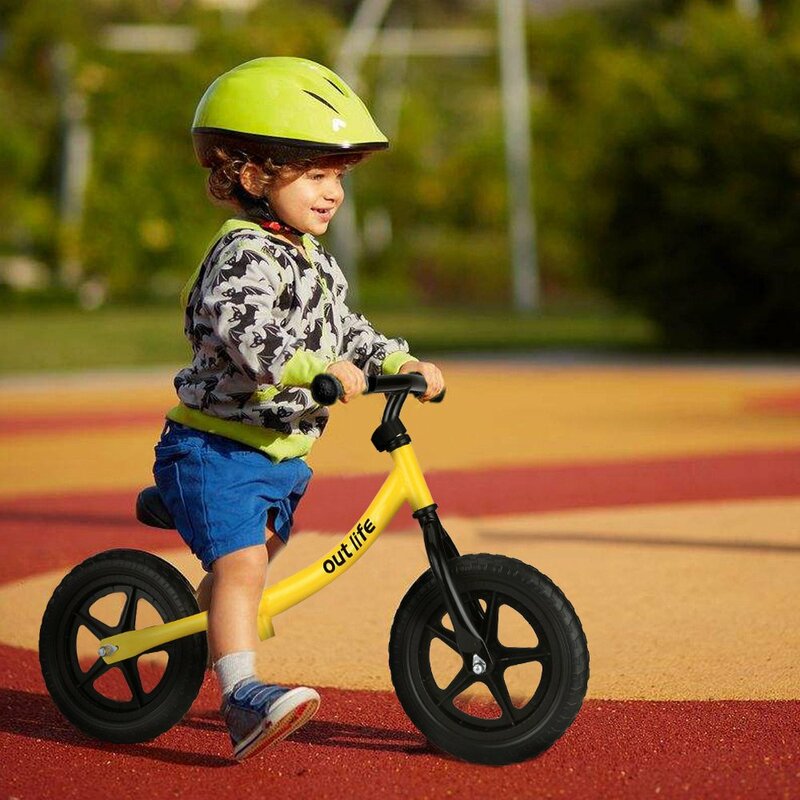 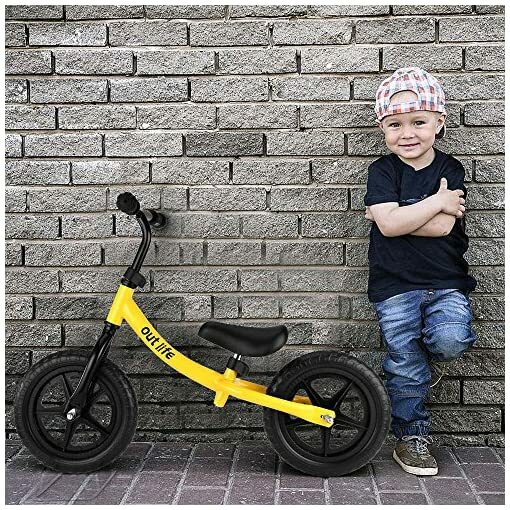 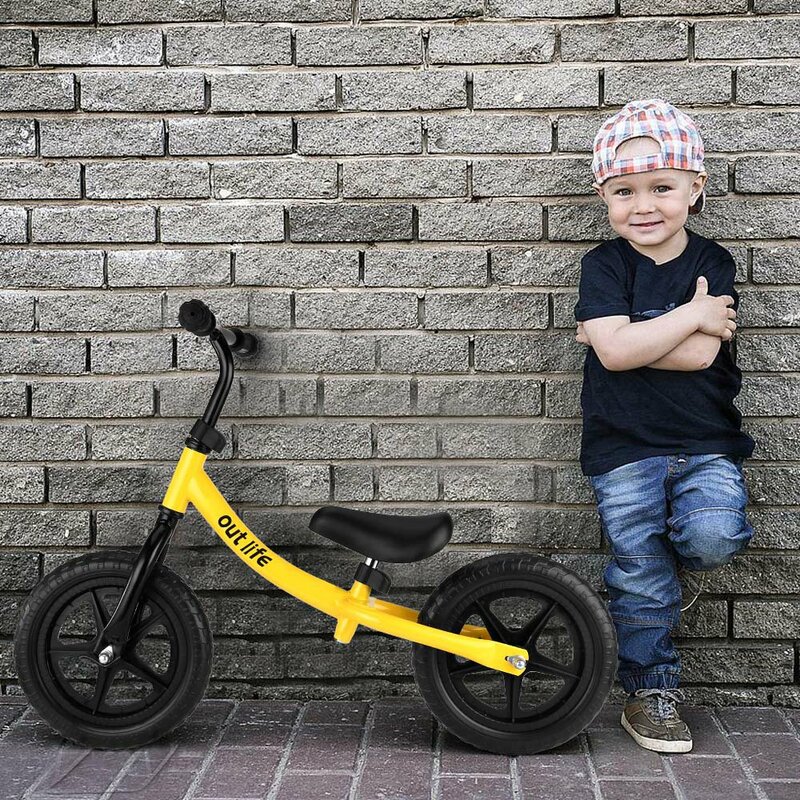 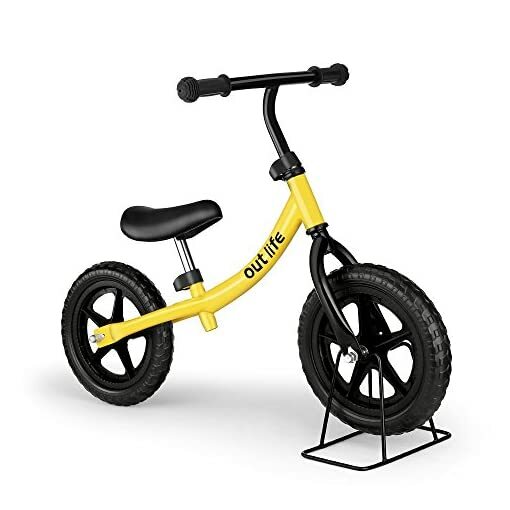 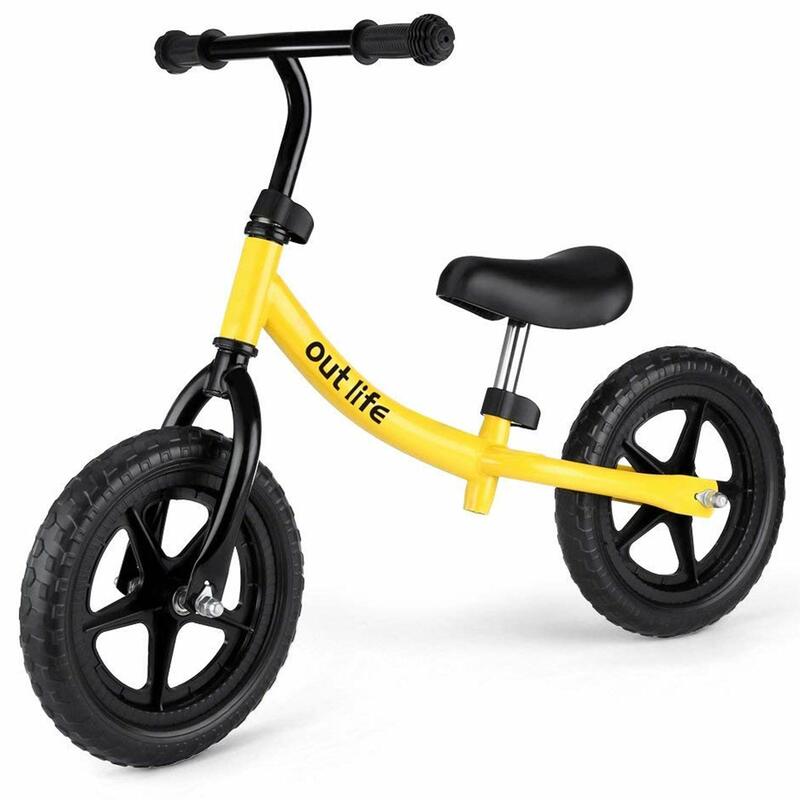 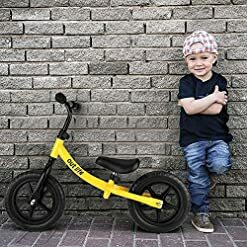 ［LEARNING AND IMPROVING BALANCE］: Kids can control this bike by themselves easily for its lightweight and compact design, providing the funniest and most relaxing riding experience. 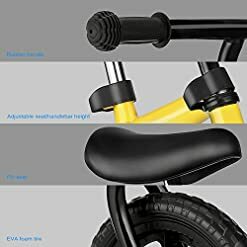 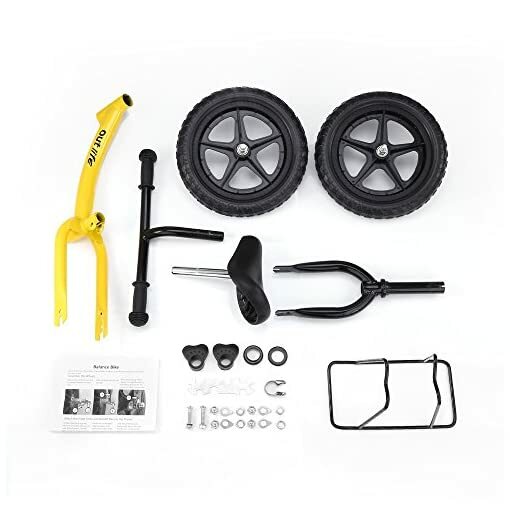 ［EVERY PART IS THE BEST］: 2 year factory warranty, soft and non-slip rubber handle, flat-free EVA polymer tires, adjustable handlebar and seat, thick cushion seat, ultralight wheels and bike body, simple 5 minute assembly (5mm wrench included). ［GROWS WITH YOUR CHILD］: The heights of handlebar(21.26″-23.23″) and seat(14.17″-13.35″) are adjustable, perfectly fit children in different heights and sizes. ［SPECIFICALLY DESIGNED FOR KIDS］: The design of soft and non-slip rubber handle protects your kids’ hands favorably, offering comfort and safety during cycling. 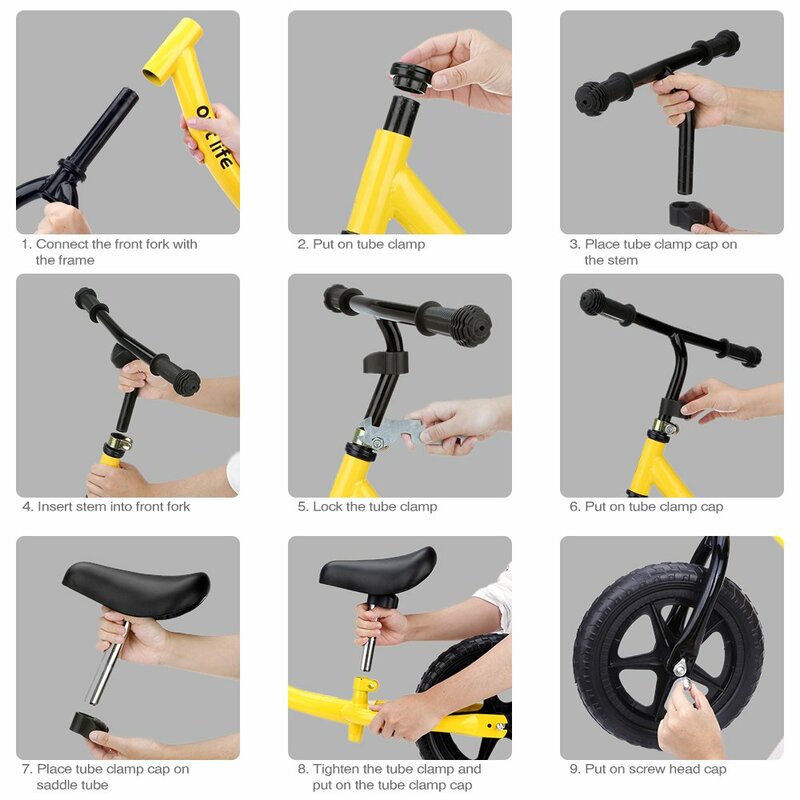 ［100% GUARANTEED］: If you face any issue and question, please let us know. 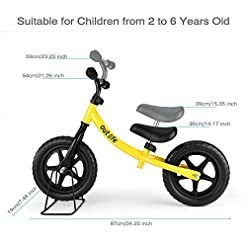 We offer 100% money back. 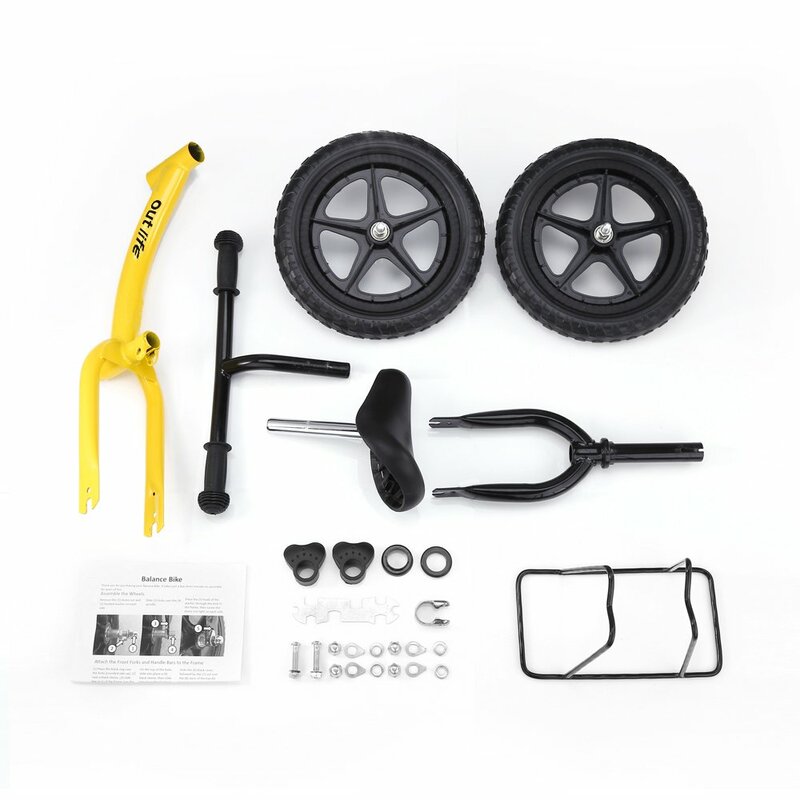 With the 100% guarantee, we will fix or replace defective parts as well.